Two of Europe’s leading shipyards have chosen luxury carpets from Dansk Wilton for the world’s largest cruise ships. 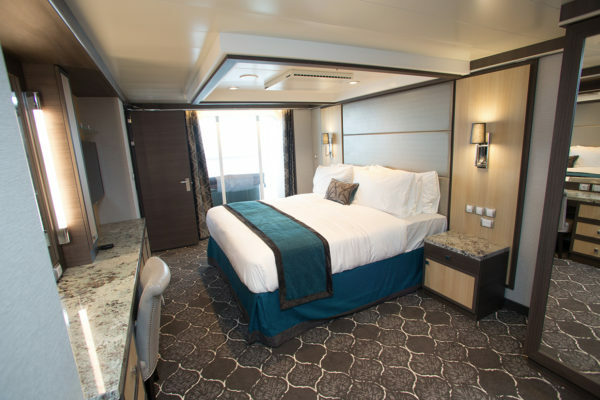 Two of Europe’s largest shipyards, Meyer Werft in Germany and STX in France, have chosen luxury carpets from Dansk Wilton for the world’s two largest cruise ships. In 2016 Dansk Wilton delivered the carpets for all 3,600 suites and cabins on “Harmony of the Seas”. Following the delivery of luxury carpets for the construction of the Quantum Class Cruise Ships by RCCL “Anthem of the Seas”, “Ovation of the Seas” and “Quantum of the Seas”, all build at Meyer Werft in Germany, Dansk Wilton also supplied carpets for the Oasis Class cruise ship “Harmony of the Seas”, build for RCCL by STX in France. And this project will be “doubled” by our carpet delivery to her sister ship in 2018. All these ships are operated by the cruise line company Royal Caribbean Cruises Ltd. in Miami. 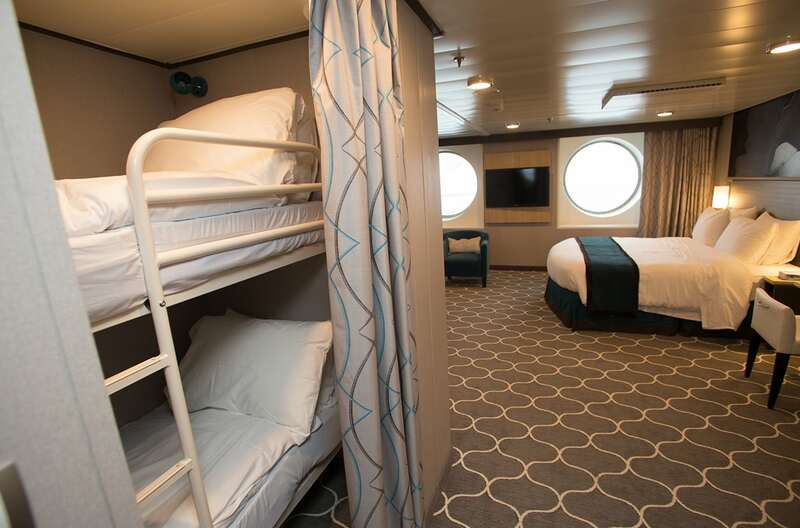 During the last couple of years Dansk Wilton has delivered luxury carpets for the construction of four Quantum Class Cruise Ships operated by the cruise line company Royal Caribbean Cruises Ltd. (RCCL) in Miami. It started with “Anthem of the Seas”, “Ovation of the Seas” and “Quantum of the Seas”, all build at Meyer Werft in Germany, and continued with the Oasis Class cruise ship “Harmony of the Seas”, build by STX in France. This project will be “doubled” by our carpet delivery to her sister ship in 2018. With this innovative approach Dansk Wilton have supplied carpets for cruise ships in the past 40 years, but this is our largest project to date..
“Harmony of the Seas” is the world’s largest cruise ship with a length of 360 meters and 18 decks. The ship can accommodate 6,780 passengers and 2,100 crew members. Dansk Wilton delivered luxury carpets for 3600 suites and cabins to this ship alone. “Harmony of the Seas” is a floating city with a feast of entertainment and activities: 23 pools, 20 restaurants, a shopping arcade, “Central Park”, a “Royal Theater” seating 1,380 guests, an “Aqua Theater”, “Studio B” an ice skating theater, a miniature golf course, sport courts, two FlowRider surf simulators, climbing walls and much more. Truly amazing. 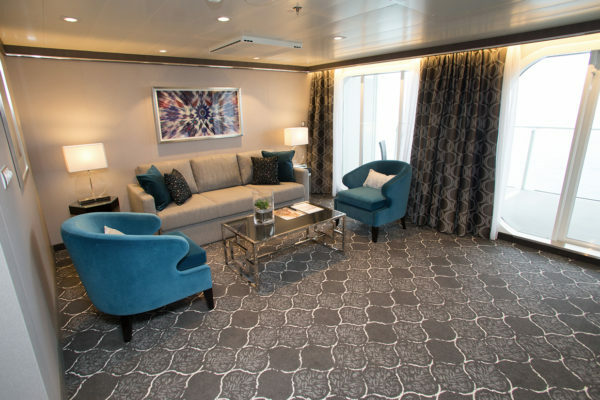 Luxury carpets for “Harmony of the Seas” and her sister ship. Dansk Wilton delivered Colortec carpets for all 3600 suites and cabins. DW Contract Colortec 1300 g/m2 with integrated felt backing.